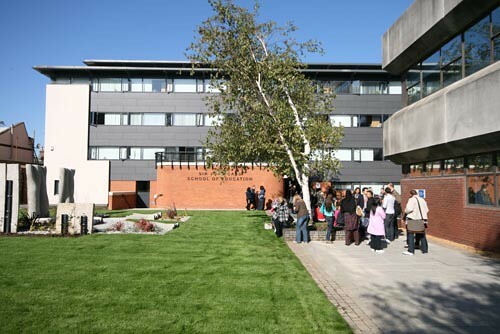 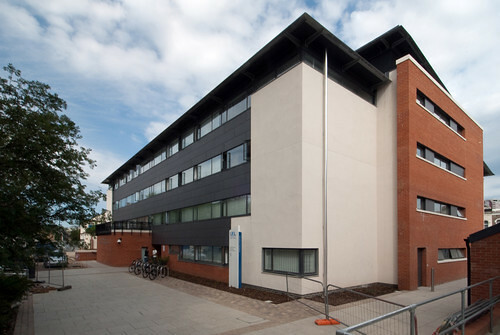 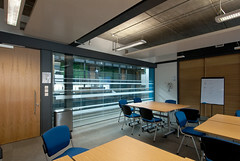 The Cass School of Education has moved from Barking and is one of the fastest growing and successful schools within the University. 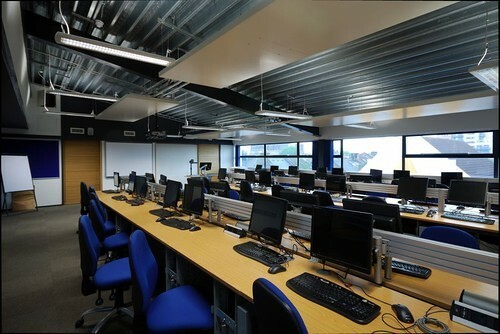 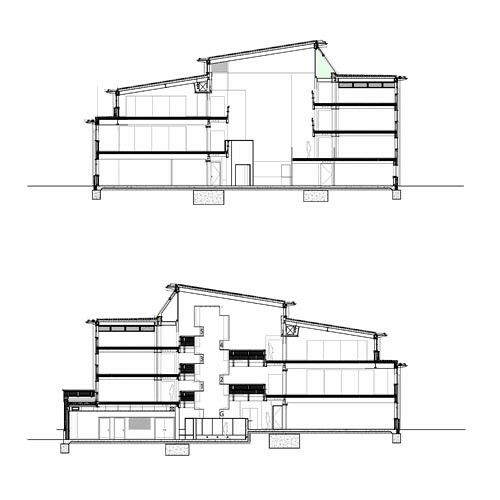 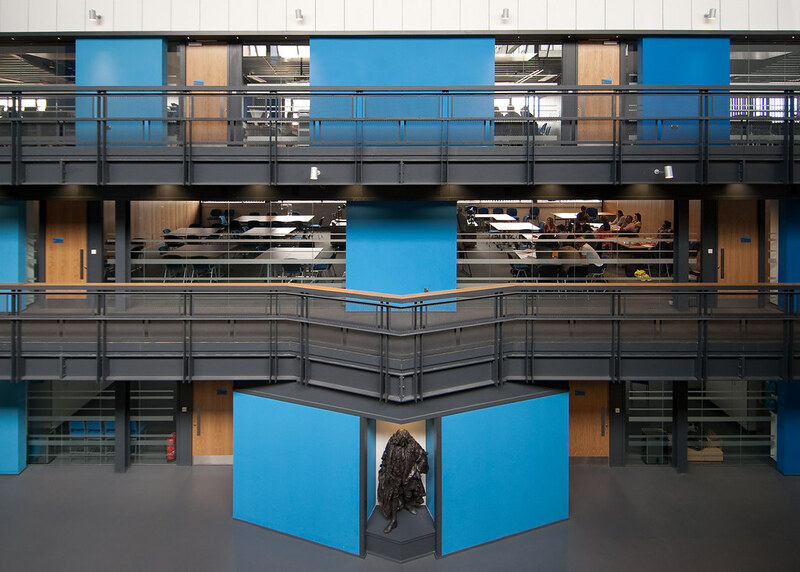 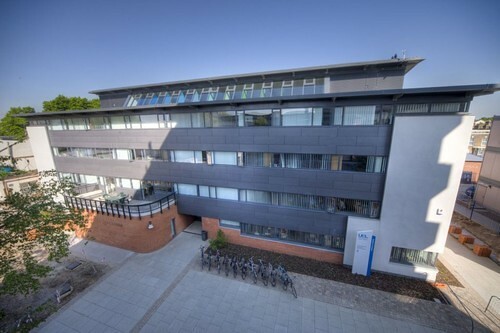 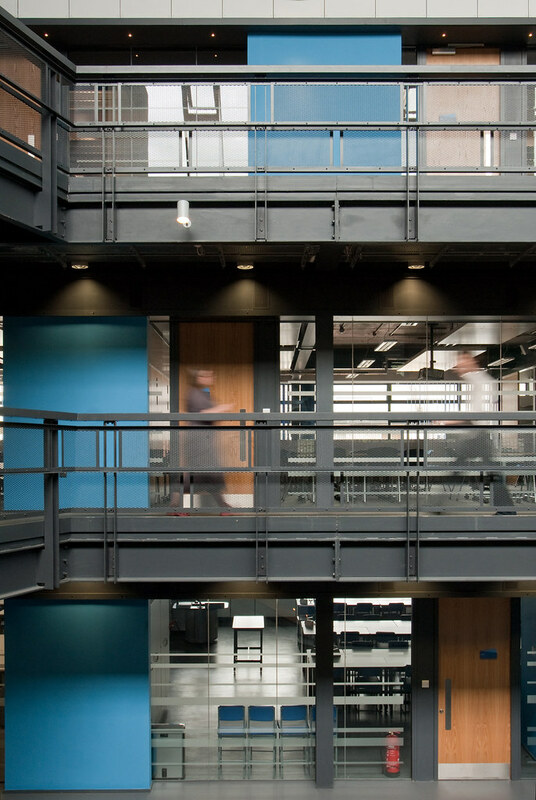 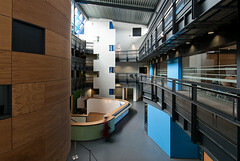 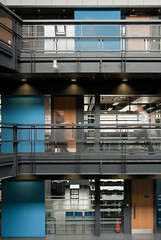 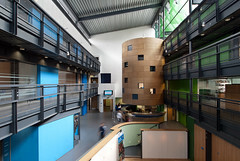 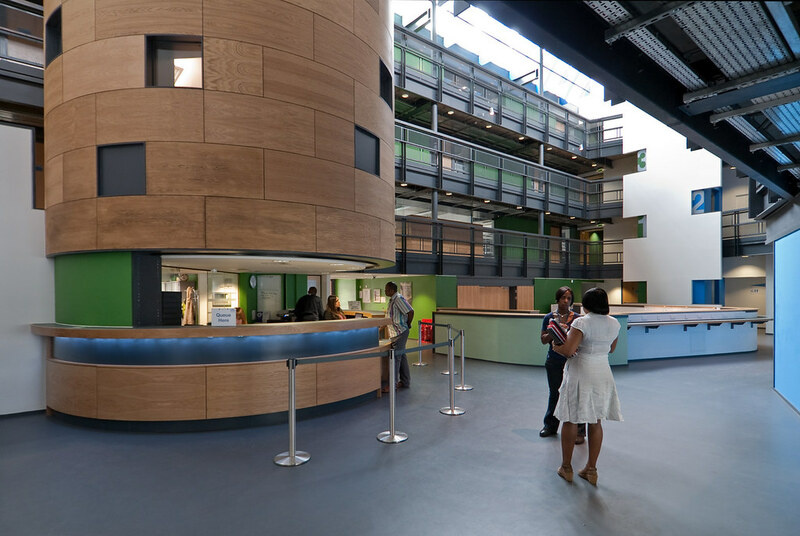 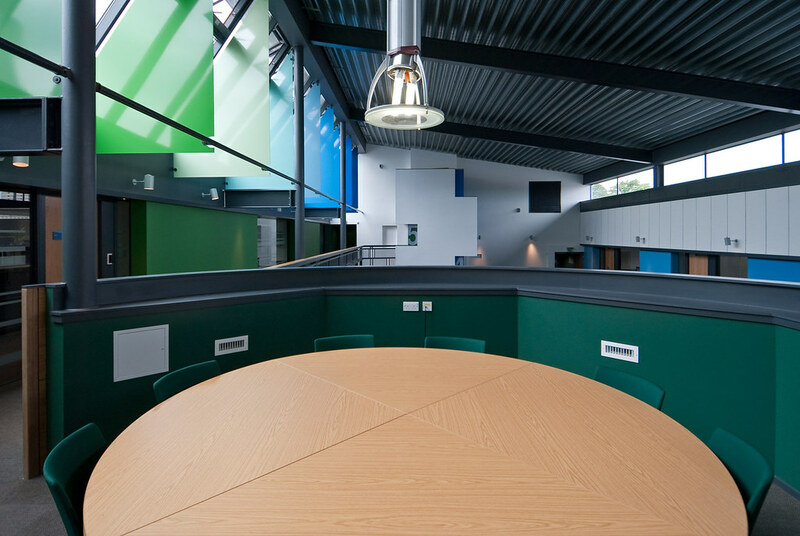 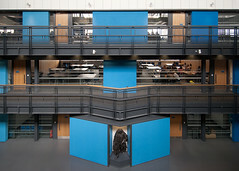 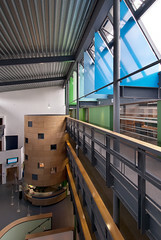 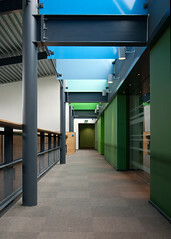 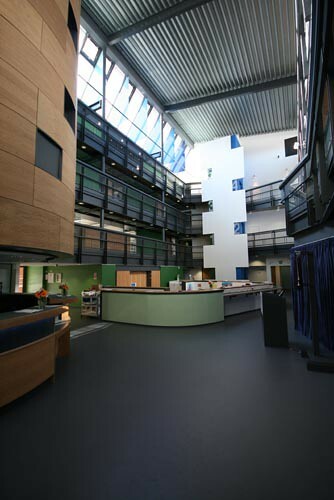 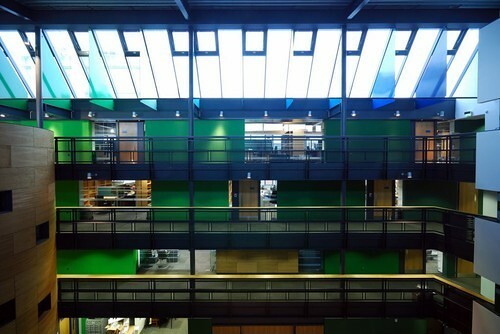 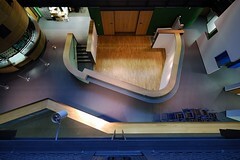 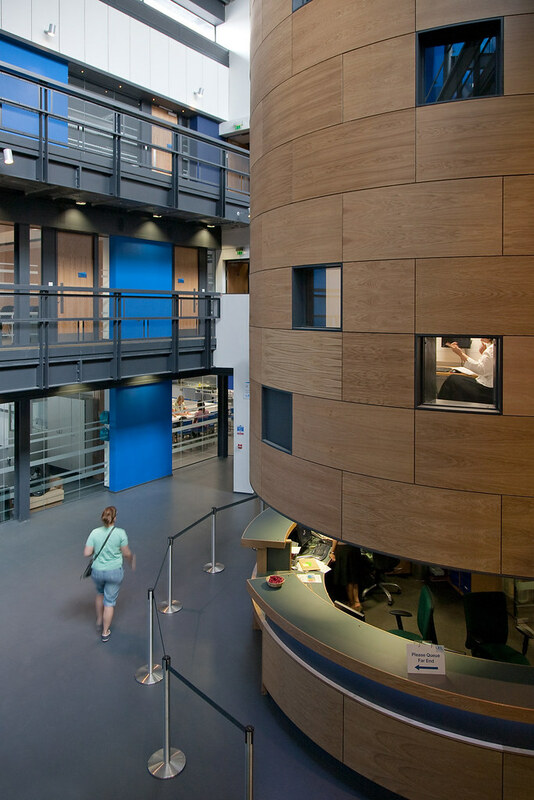 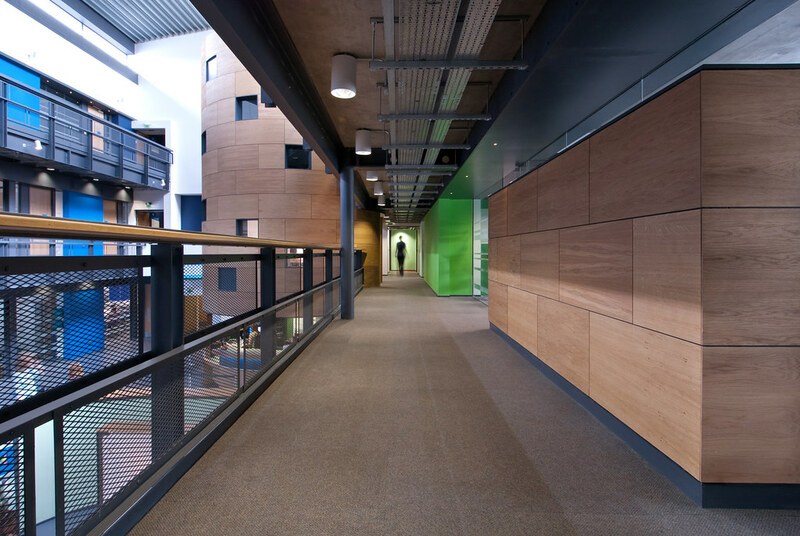 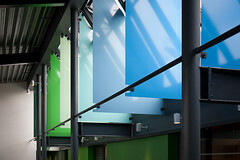 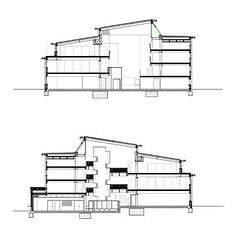 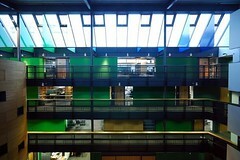 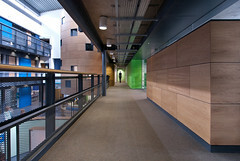 The building is organised around a central atrium space with three levels of teaching accommodation on the north side and four levels of office accommodation to the south. 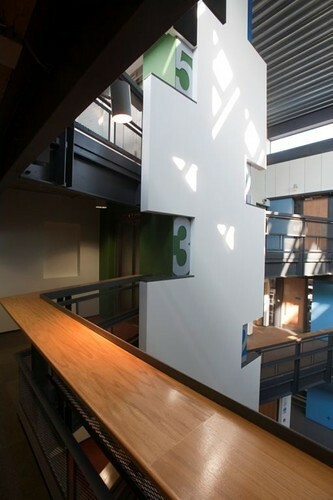 These are accessed by open walkways that overlook the atrium and all rooms feature extensive glazing to the atrium elevation. 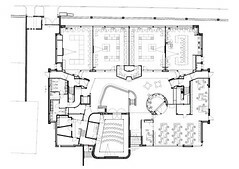 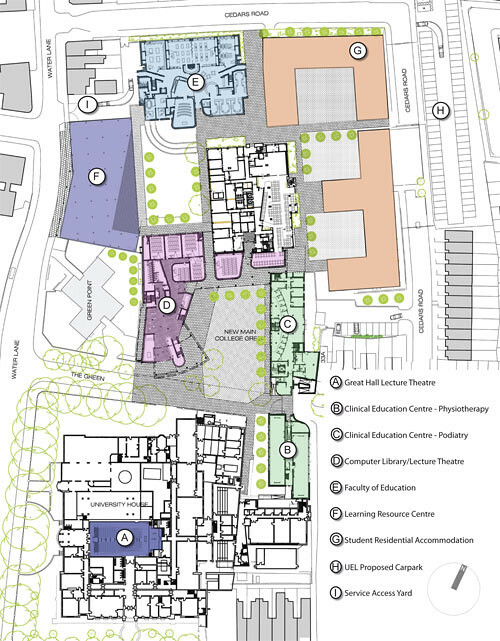 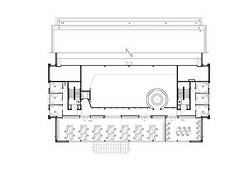 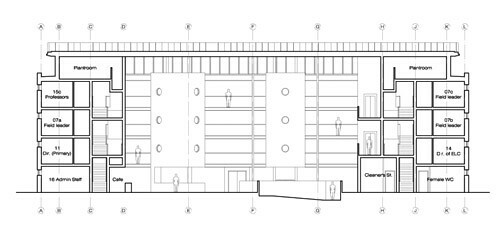 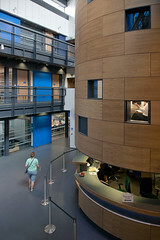 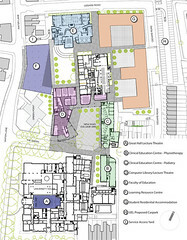 Within the atrium is placed a drum-shaped tower of student consultation rooms that is cantilevered from the upper floors over a circular reception area on the ground floor. 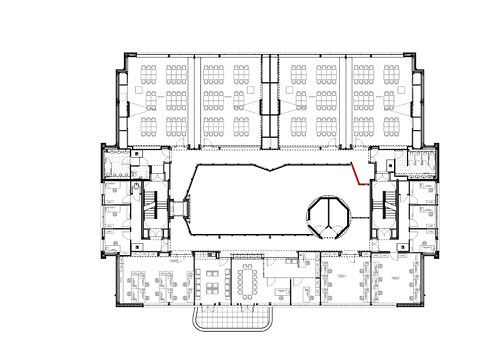 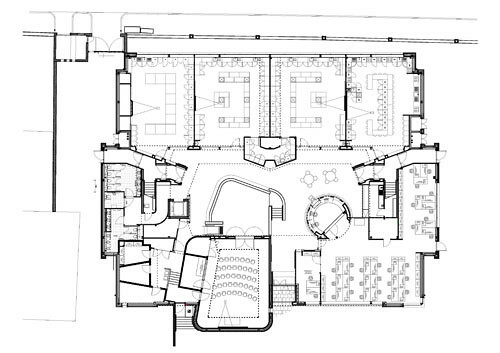 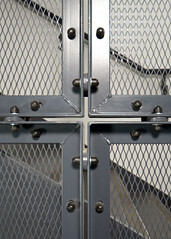 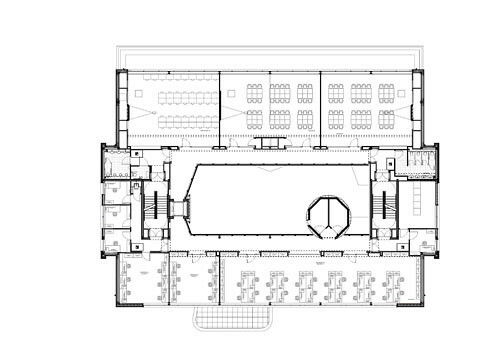 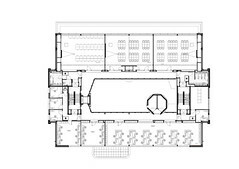 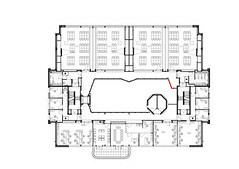 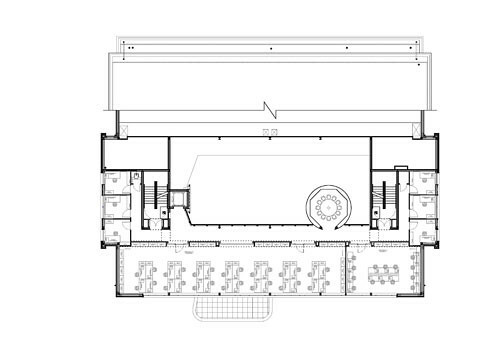 Additionally, a lowered floor area within the atrium provides a breakout space for the main music practice room. 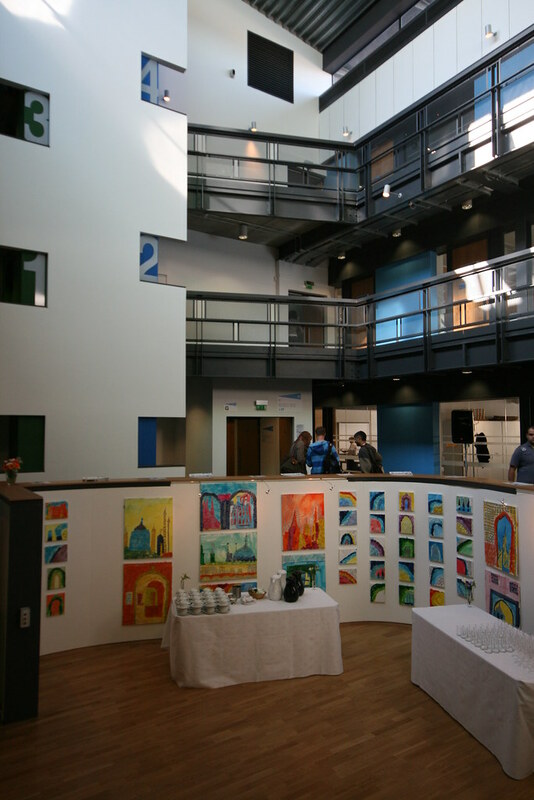 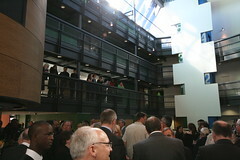 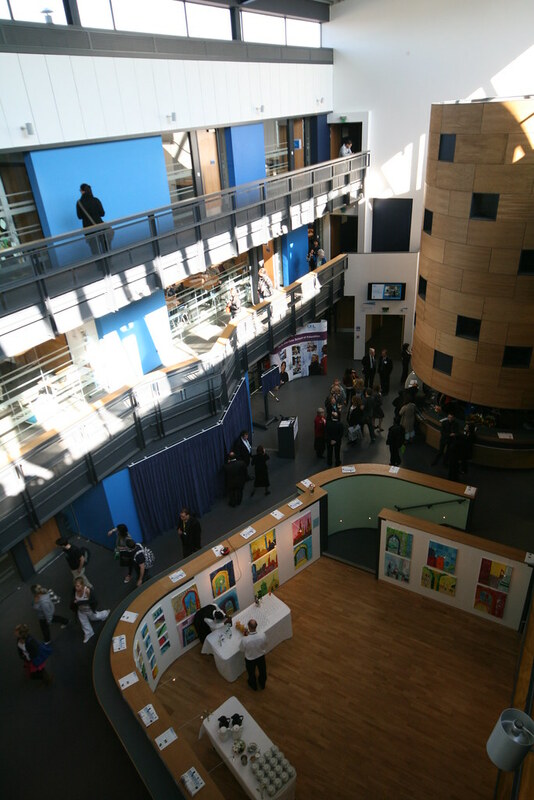 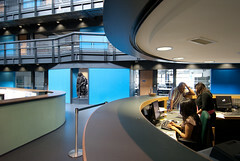 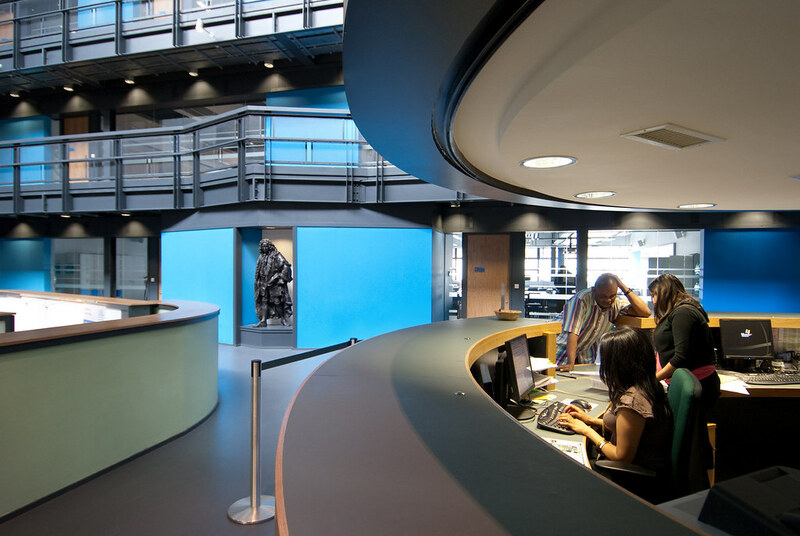 The atrium is designed to be a busy interactive place with cafe, information, exhibition area and from where it is possible to see all the activities of the faculty on the floors above.